This morning we went on a nature hunt in the yard. The best thing about yard nature hunts for my little guy is that he can do them in his pajamas :) I love that everything he finds, whether it is a different colored leaf or a funny shaped acorn, is so special to him. He found alot of fun nature items in the yard and was so happy about everything he decided to keep. When he was done we came inside and decided to make a picture from the items he had found. We got out the glue and construction paper and he got to work. 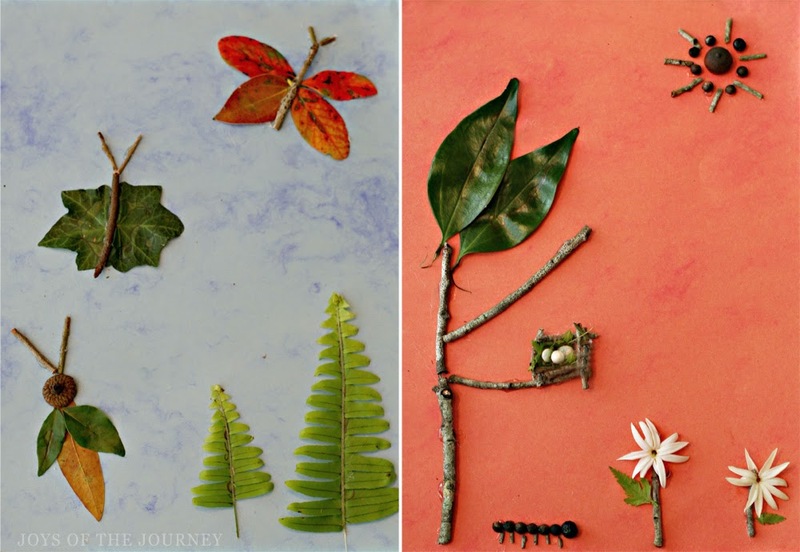 He poured out his nature items on the table and figured out what he wanted to use. He really like the fern because he said it looked like a tree on his picture. He glued it down and picked out a little berry he found to use as a roly-poly on his picture. I loved how he used his imagination to make his picture. He wanted a butterfly, so I helped him make one with some leaves and a stick. That led to wanting more bugs, so we used our imaginations some more to figure out how to make a dragonfly and a caterpillar. We made some flowers and a tree and bird nest on another picture. This was a great activity for imaginative play and for fine motor skills, since he was gluing down small berries, acorns, and leaves. Also, he used his observation skills while picking out different leaves and other pieces of nature and we got to enjoy the beautiful weather while we were scavenging! Great way to combine getting kids outside and art. BTW - love that he did the outdoors part in his pjs. My son would be jealous. HAHA! Sometimes it's just easier! He's stubborn about about changing his clothes! I love your creations! My little ones always enjoy collecting things on our walks. Thank you so much for sharing in the Discover & Explore linky. 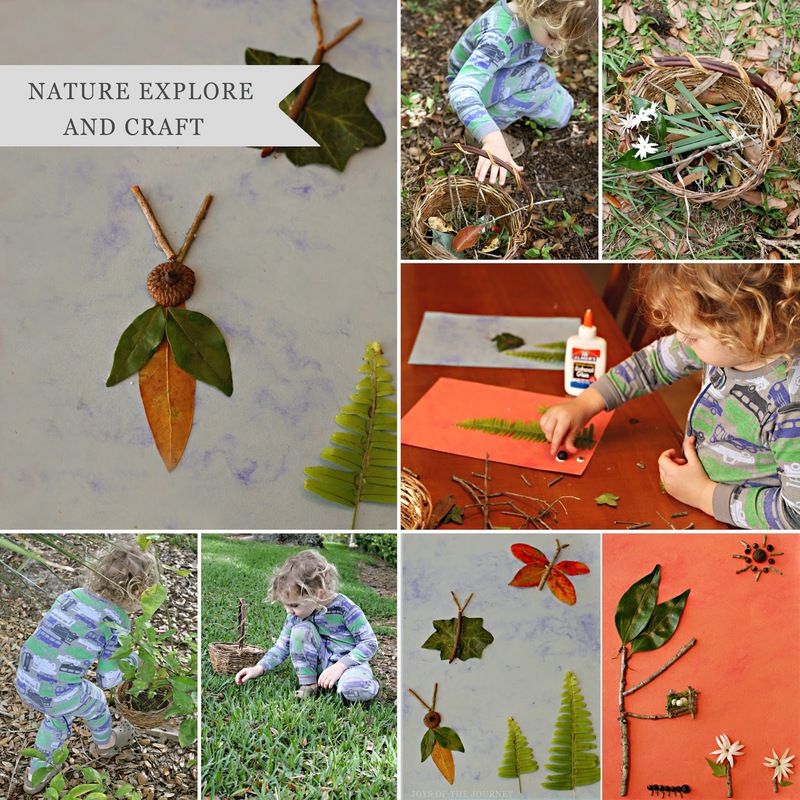 So beautiful...a super fun way to get kids playing with nature. Thanks for sharing at the OUtdoor Play Party.